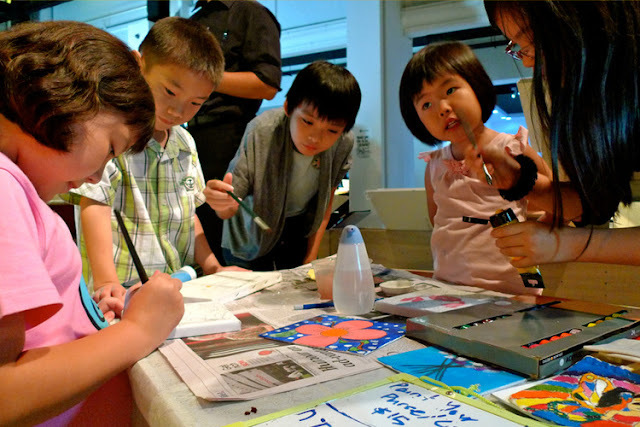 These 10 Family-Friendly Activities Are Happening Once A Month & They're All FREE! If you have been following my blog for some time, you will know that there is no way that Singapore is boring for families! There are places like the parks, beaches and playgrounds that kids can run, play and tumble at... and then there are places, or rather activities, that only happen once a month making it truly special outing for everyone in the family. 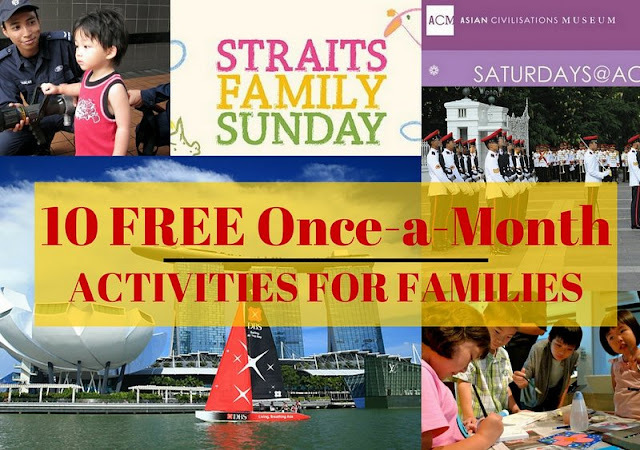 From catching a glimpse of a guard changing ceremony and walking down a car-free road to specially-curated activities for kids at museums and sailing in the Marina Bay, mark these events down your calendar and prepare for a year's worth of fun. And you know what is the best part? They are ALL FREE to enjoy! On the first Sunday of every month (except July and August), a Singapore tradition since 1969 takes place outside the gates of the Istana - the changing of the Istana Ceremonial Guards. The main role of the Istana Ceremonial Guards is sentry duty at the Istana Main Entrance along Orchard Road and at the entrance of the Istana Building. A platoon of 20 guards from Singapore Armed Forces Military Police Command would perform duties in the Istana for one month before another unit takes over. The take-over by a new unit is signified by the Changing of Guards Ceremony. The format of the Ceremony is based on the British Changing of Guards Ceremony at Buckingham Palace, England. The in-coming Guards march from Koek Road (beside OG Orchard Point) to meet the out-going Guards at the main entrance of the Istana. 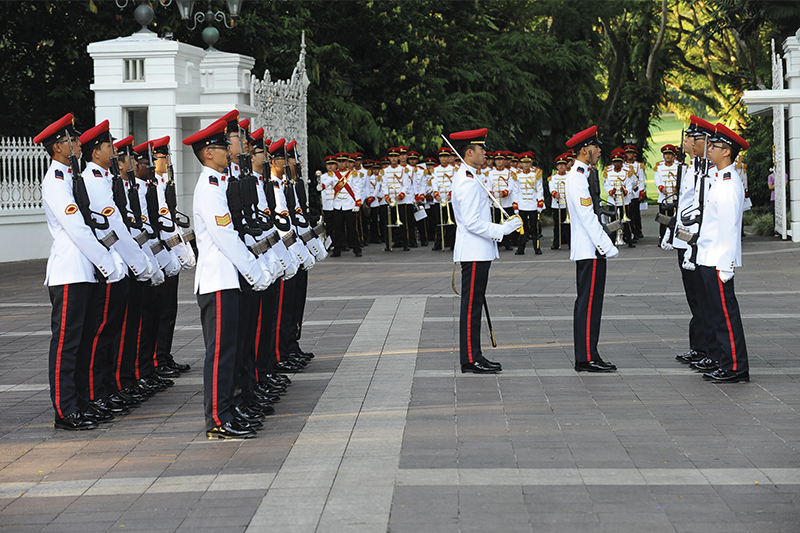 The Changing of the Guards Ceremony is then carried out at the entrance of the Istana with military bands in attendance. Included in the ceremony is a Rifle Precision Drill Performance. The guards start marching from the starting point at approximately 5.45pm, with the ceremony starting at 6pm in front of the Istana Gate and will end before 6.30pm. *Note: Dates may be subject to changes. On every last Sunday of the month, the Civic and Central Business District will be transformed into a cycle-friendly, walkable and activity-filled public space with something for everyone as roads around the Padang, together with Fullerton Road, will be fully closed to vehicles from 7am onwards. And the next Car-Free Sunday SG will be taking place on 27 March 2016! The streets will come alive for families, joggers and cyclists who can look forward to activities ranging from fitness group exercises, kid-friendly activities to a breakfast picnic. For full details on the list of activities and timings, visit HERE. On the first Saturday of every month, Asian Civilisations Museum opens its doors to everyone with free and engaging activities for kids! Enjoy storytelling sessions, craft activities and drama performances with the family. The upcoming Saturdays@ACM will be taking place on 5 March 2016 and will takes on an Easter theme. Celebrate Easter early with ACM and let the kiddos go on a treasure hunt in the galleries and watch a drama performance. Definitely an egg-citing time at the museum! Every second Sunday of each month, Peranakan Museum invites all families to enjoy an uplifting cultural weekend. Admission is complimentary and families will be able to spend a fun day at the museum learning more about the highlights of Peranakan culture through a specially curated experience. Discover the meanings behind Peranakan designs and motifs in the special guided tours for children. Dress up with the whole family in batik or a sarong kebaya, and create your own masterpiece inspired by objects on display in the galleries. The next Straits Family Sunday is taking place on 13 March 2016. 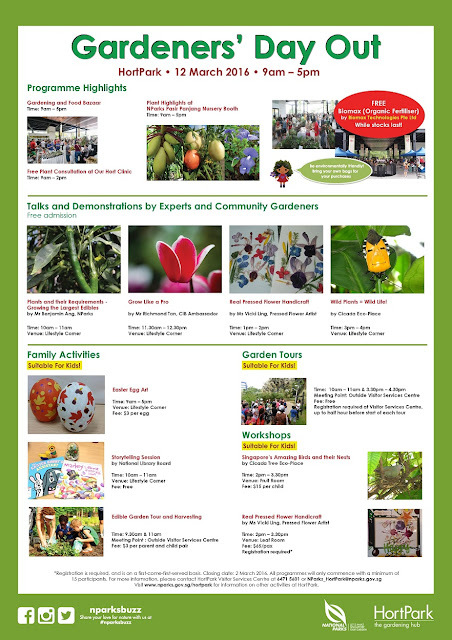 HortPark's signature event, Gardeners' Day Out, is held on a Saturday every month (except July & August 2016 due to Singapore Garden Festival 2016). Lined up with gardening and lifestyle activities for everyone, favourite highlights include a Gardeners' Market, Food Bazaar, free talks and demonstrations, free garden tours of HortPark and kids' activities like storytelling and art & craft! The next edition of Gardeners' Day Out will be happening on 12 March 2016. Dates: Once a month (except July 2016 and August 2016). 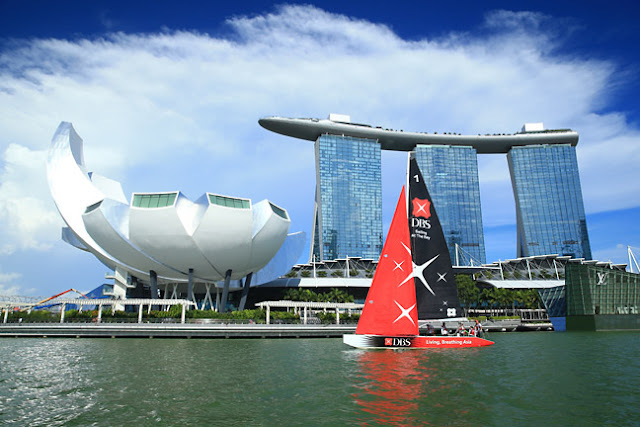 Sail in Marina Bay for free! Launched in 2013, the DBS Marina Sailing Programme provides the public with an opportunity to get into the Marina Reservoir and enjoy the view of the bay from a different perspective. Slots for the following month usually open up for registration towards the end of each month. But do note that slots are always filled very quickly as soon as they are released due to the popularity of the Progamme! So it pasys to bookmark the booking page HERE or stay updated via DBS' Facebook page. Anyone can sign up! One Friday night of each month, the Red Dot Design Museum Singapore hosts a creative platform, MAAD (Market of Artists And Designers) for enterprising creatives to showcase their works and talents. Expect a quirky marketplace of original creations ranging from mini artisanal postcards, fashion and crafts, to literature, photography and furniture. From 9pm to midnight, home-grown bands take the stage, so take the chance stay up late with the kids and sway to the groove! If your little ones love gazing at stars (and for free! ), there is no need to wait once every month! 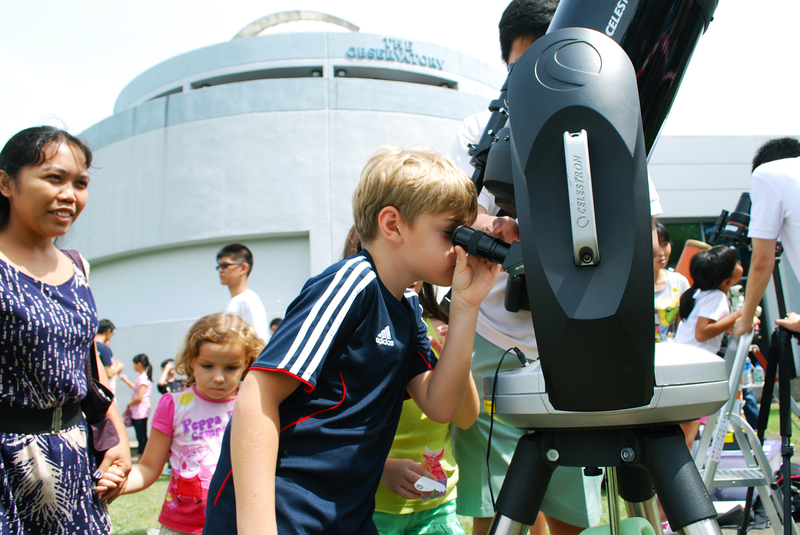 Every Friday night, head to the the Singapore Science Centre Observatory for a night under the stars. Little astronomers can take turns looking through the telescopes at various objects visible in the sky. Some additional activities such as talks and slide shows will be held during special events. Fun fact: The Singapore Science Centre Observatory is one of the few in the world that is located next to the Equator. As a result, this unique position opens up more vistas in the sky enabling one to view more of the night sky! Did you know there are FREE walking tours that trace Singapore’s roots from her humble colonial trading port beginnings along the Singapore River to the modern home we have today? Best of all, the tours take place EVERY weekend, instead of once per month! 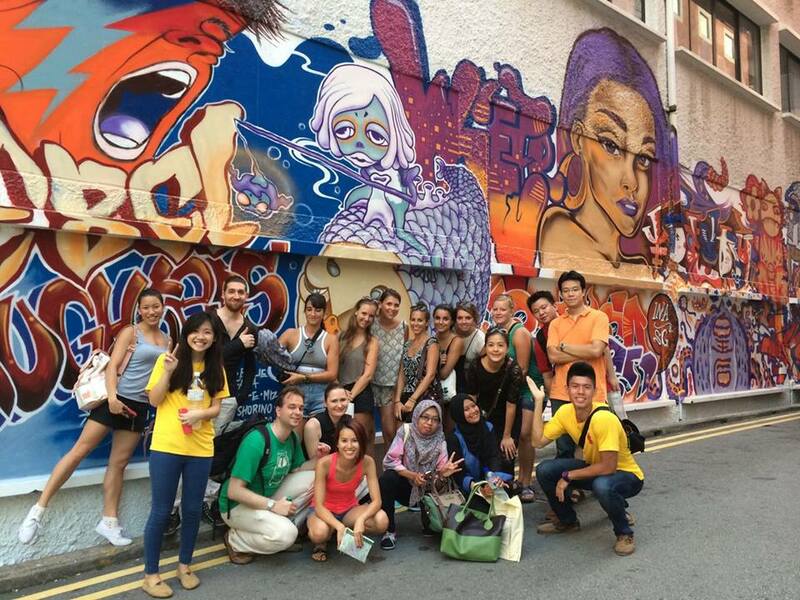 Led by a team of enterprising, enthusiastic and passionate walking guides from the Nanyang Technological University’s Tourism and Hospitality Management Club, Singapore Footprints organises walking tours that allow participants to marvel at the modern developments around Marina Bay and venture off the beaten track onto a cultural trail to appreciate how the different races and religious communities co-exist harmoniously in our multi-racial society. There are currently two tours available: Singapore River.Bras Basah.Bugis Tour which brings participants down the scenic banks of the Singapore River and through the monumental enclaves of the Bras Basah & Bugis Precinct AND Chinatown Tour:Footprints of our Forefather Tour where stories and experiences of our pioneers will be shared. The great thing about the tours is NO registration is required for the Singapore River.Bras Basah.Bugis Tour. All you need to do is turn up at the meeting point and join in the fun! The tours last slightly over 2 hours, and are FREE. *No sign ups required – just show up! *Sign up at Chinatown Visitor Centre, or email singaporefootprints@gmail.com. Then there are some activities for families that do not take place every month. Rather, they spring up once every few months, or in some cases whenever the public holidays roll along. The Really Really Free Market is a temporary market based on the concept of giving and building a community based on sharing resources, caring for one another and improving the collective lives of all. No need to bring your wallet along as EVERYTHING IS FREE! Apart from the books, CDs, toys and goods, there will be people cutting hair, doing tarot card reading, singing and writing poetry too. You are encouraged to share your own stuff as well by giving them to others who need them! The upcoming one will be taking place this Sunday, 28 February 2016 at Jurong Central Park (near Jurong Point) between 2pm and 6pm. For future editions, stay updated via its Facebook page. The Istana Grounds is open to the public in celebration of Chinese New Year, Deepavali, Hari Raya Puasa, Labour Day and National Day. There will be a variety of performances on the grounds during the Open House. For an entrance fee of $2, visitors could tour selected function rooms in the Istana building and view a special display of gifts presented to the President and the Prime Minister. There are also guided tours of the Istana building, conducted by the Preservation of Sites and Monuments (PSM) volunteers. Istana souvenirs are also sold at the Open House. All proceeds from the sale of the souvenirs and the entrance fees collected are donated to charity. Admission: FREE for Singaporeans and Singapore permanent residents. Other visitors are required to pay an entrance fee of $2 per person. The old railway station at Tanjong Pagar opens its doors on public holidays. The public can enter the railway station using the main entrance along Keppel Road or through the side entrance along Spottiswoode Park Road. Read about our previous experience HERE. *Stay updated regarding the Open House dates via Singapore Land Authority's Facebook Page. Do you know of any more events or activities that take place only once a month or on an ad-hoc basis? Share them with me in the comments below! Speaking of the Fire Station Open House mentioned in the article, there is a NEW PLAY-DOH product in town - Town Firehouse! Create an emergency fire scene with the stackable PLAY-DOH cans, and help the firefighter prepare by designing a wild hairstyle for him and putting on his hat after that! 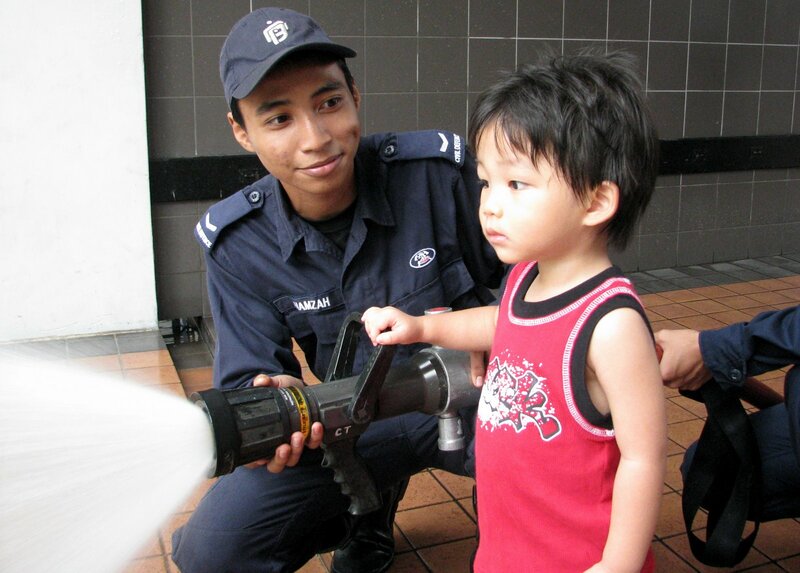 Help him to battle the flames and put the fire out with the water canon extruder, or make a hose with the fire hydrant, or simply chop the flames out with the firefighter's axe! Don't forget to take his dog out for a walk before it faces its own emergency. Yes, you can make the dog poop out PLAY-DOH... and it tickled Ale so much! 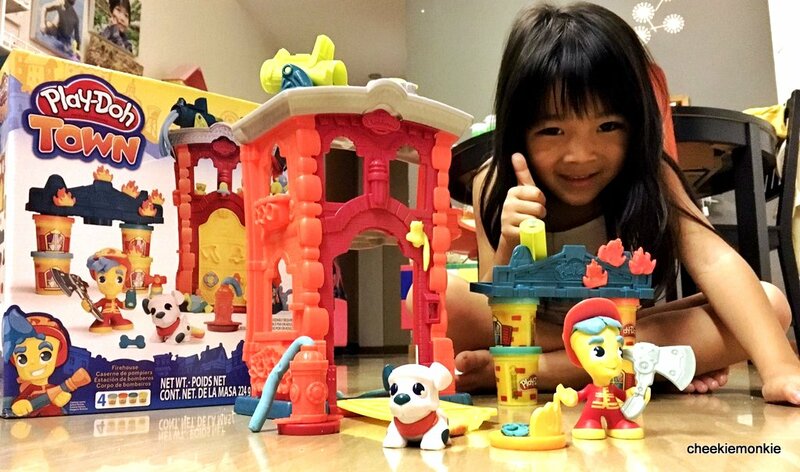 Congratulations to the following 2 winners who have each won a set of PLAY-DOH Town Firehouse! Please email me at kelvin@bloggerati.me by 14 Aug 2016 for prize collection details. Thanks! And I have TWO sets to giveaway! 1. LIKE Hasbro Singapore's Facebook page HERE. 2. SHARE a PLAY-DOH memory that you had with your kids. Leave your comment below in the blog post OR on our Cheekiemonkies' Facebook corresponding post HERE. Giveaway ends on 5 August 2016, 2359 hours. PLAY-DOH Town Firehouse can be enjoyed among children aged 3 years & above, and is retailing in major toys' departmental stores at S$49.90. My kids love to play playdoh. We can have fun together for hours and days. We play cooking, ice-cream making, dentist and tooth, baking and etc. This is a very great activity for imagination pretend play and training motor skills. Hope i can win the contest. My hp is 96606122, diana. He loves it especially when my friend gave him her preloved playdoh machine he sure had lots of fun making.. I first exposed play dough to my daughter with home made dough (for bonding) but all was well the first day of play until we realized that we must have done something wrong as the dough became wet the subsequent few days. I then went to buy some play dough from other brands and realized that it dries up easily although it's cheap. Than I natural went to the market leader of this play dough, which is Play Doh and tadah! I got everything right. It's not as expensive as I thought but yet it's lasting (the quality is really different!). I always think although this is kinda messy, it helps our kids with their fine motoring skills and boosts creativity. Well, the cleaning up can wait but let our kids have fun first!